This is only a portion of the code but I'm getting the errors at the insert lines at that point. It's eventually going to be fed strings of text by another proc, but for testing right now, it asks for an input. -Removes the "Number " from the beginning leaving us with just a string of numbers or possibly 1 letter and a number. -If the first character is a letter, it gets trimmed out and stored in a seperate var for later use. -Turns each digit of the number in to its own individual string, up to a possible 4 digits. -It takes just the state in that file that matches the number and inserts that state in to a new icon based on its digit position (i_b, i_b2, i_b3, and i_b4) and renames it to a blank icon state. This code WAS working earlier, but i've been working on it all day and after some recent modifications it seems to have stopped working. I cant figure out why, I must have changed something here without remembering it, but I cant find the problem. I use similar code like this for something else in the game and it works fine there. For clarification... the 3 icons listed are icons with states named "0" , "1", "2", "3", etc etc up to "9". I get errors on the insert lines. Not sure why, can anyone else help me with a 2nd set of eyes? After playing around with it a bit more this morning, I only seem to be getting the error on the 1st insert line, not the other 3 but I cant figure out why. Insert() has to be used on a blank icon, not just an empty icon object, you'd want to create a blank .dmi file and use that inside of icon/new() instead of nothing. At least it was the last time I used it, the issue may be different at this point because I haven't used icon.Insert() in a very long time, but I do remember always having to use a blank icon to start with. Try clearing your BYOND cache. It's been known to cause icon procs to fail. world << "DEBUG: Input was... '[text_input]'"
world << "DEBUG: Number is... [number_string]"
world << "DEUBG: Number is ... -[istate]/[istate2]/[istate3]/[istate4]-"
world.log << "||||||||||CHECK 1 - '[state]' matches '[istate]'|||||||||||||"
world.log << "||||||||||CHECK 1 - i_b insert complete|||||||||||||"
world.log << "||||||||||CHECK 1 - '[state]' matches '[istate2]'|||||||||||||"
world.log << "||||||||||CHECK 1 - i_b2 insert complete|||||||||||||"
world.log << "||||||||||CHECK 1 - '[state]' matches '[istate3]'|||||||||||||"
world.log << "||||||||||CHECK 1 - i_b3 insert complete|||||||||||||"
world.log << "||||||||||CHECK 1 - '[state]' matches '[istate4]'|||||||||||||"
world.log << "||||||||||CHECK 1 - i_b4 insert complete|||||||||||||"
Did a bit more testing, added some new lines to get a better idea of how its screwing up, and its definitely the 1st insert line for some reason. 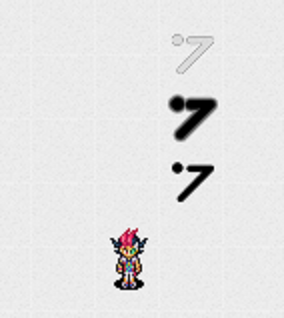 If I enter the string "Number 17: Test"
DEUBG: Number is ... -1/7//-"
This code creates 4 objects and positions them where I wanted to see the icons properly, but the first one has no icon. That is throwing the error for some reason. The logs there seem to run fine. That's the end result on the screen from that. Obviously I should have a set of 1's above me and a set of matching 7's next to it, but the objects with the 1 dont have anything in their icon files. I have 2 other procs that it works just fine with. 1 in a custom icon creator system and another in a seperate concept proc like this one. They both work fine inserting in to a blank icon object. In addition, in the example above, only the 1st insert of the 4 is giving an error, the other 3 are working just fine. And I've tried clearing my cache, I've tried doing a clean compile, I've tried modifying the icon file slightly to change the header information on the file. None of that has helped. So I tracked down the apparent cause of the problem... I just dont know how to fix it or even why it's causing a problem in the first place. For the example below im using the string "Number 1000: Test" to test all 4 inserts and all 4 digit placements. I stripped the insert stuff down to bare bones at first and it worked again in the smaller segment. So I went back and removed smaller segments of the code 1 by 1 until i found the apparent problem. When I removed those i_c1 - i_c5 vars from the code, it worked again. I put them back in and just removed 1 of them and somehow I got 1 of the inserts to work, when I removed 2 of them, all of the segments worked. Prevents the inserts from i_bx in to i_b and from i_ox in to i_o but allows i_ix in to i_i as well as all the others that normally work. Allows all inserts to work just fine. I am honestly loss at what's happening at this point. Does anyone have any idea why this is happening? well... after swapping out my uses of my i_ix, i_ox, and i_bx vars to just icon('____.dmi'), the code seems to be working again. I dont really understand what the actual issue is here though, if I'm hitting some type of built-in memory issue with icon vars where I can only have so many in the proc before it screws up or something? Now I need to try and get the actual proc i snipped this code out of working with these changes I guess. Okay, the big question here: Why are you using icon math operations for a number overlay? Even if you chose not to use maptext, there are far better approaches available for most of these cases. 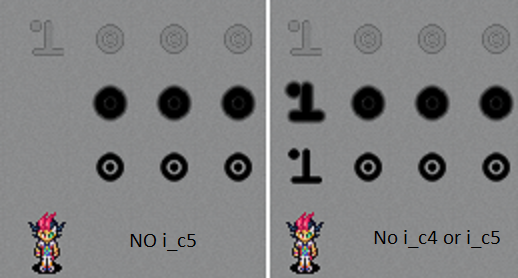 Im using the code to build icons for use in other parts of the game. There are 3 layers that are different colors, a number, an outer glow, and an inner glow. The various layers are being combined in various ways and have different effects/animations applied to them. This felt like the easier approach to doing that then to icon 130~ ish base icons + animations by hand. I am sure there is a better way to do this, but I'm still relatively new to coding and kind of learning by making procs like this. I was the head admin on my game when the owner just gave up on the project, he gave me the source but I only had basic coding knowledge, so I've been learning by picking apart the code and making procs like this. I try to use the developer reference when possible, but it's not always helpful. But my options were either let the game die or learn as I go, I decided to learn as I go instead of shutting things down. You would definitely do well to look into using maptext for that, especially as there are filters now in 512 that will give you the look you want for minimal fuss. 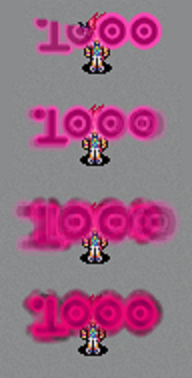 You can use a drop-shadow filter for an inner glow and another for an outer glow, very easily. This is also way less resource-intensive and will result in a better player experience. Not necessarily a right-now thing, but it'd be a fun project to tackle that would probably give you a good idea of how to improve the game in other areas.